 CT Coronary Calcium Score Tops CRP as Guide to Therapy - ONRAD, Inc.
DiagnosticImaging | Coronary artery calcium (CAC) scores based on cardiac CT scans can stratify the risk of heart disease among those without symptoms, a new study reports. That’s something studies of high-sensitivity C-reactive protein (hsCRP) can’t do, according to a team led by Michael Blaha, MD, MPH, of Johns Hopkins University in Baltimore. They published their results in the Aug. 20 edition of the British journal The Lancet. Blaha and colleagues considered 950 participants from the Multi-Ethnic Study of Atherosclerosis (MESA) who were also eligible for JUPITER, the landmark study showing that statins were helpful for apparently healthy patients. Following up an average of 5.8 years later, the estimated rate of cardiovascular disease was 2.12 percent for those with a zero CAC score, 4.86 percent for those with a score of 100 or less, and 13.65 percent for those with a score greater than 100, the team found. Roughly half the cohort’s patients (47 percent) had CAC scores of zero, with 28 percent in the 0-100 range and 20.2 percent greater than 100. These last patients had 74 percent of all coronary heart disease events and 60 percent of all cardiovascular events, the researchers found. “CAC seems to further stratify risk in patients eligible for JUPITER, and could be used to target subgroups of patients who are expected to derive the most, and the least, absolute benefit from statin treatment,” the Blaha and colleagues concluded. “Focusing of treatment on the subset of individuals with measurable atherosclerosis could allow for more appropriate allocation of resources,” particularly in improving the efficiency of statin use in primary prevention.